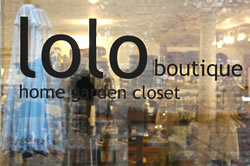 Step into an urban oasis at Lolo Boutique! 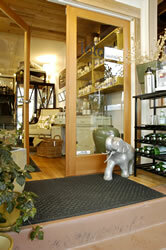 This trendy little space offers an upscale array of perfect items for the home and garden. 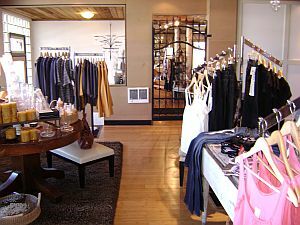 Stylish boutique clothing by up-and-coming designers is reasonably priced and offers selections you might not find other places or worn by other people! 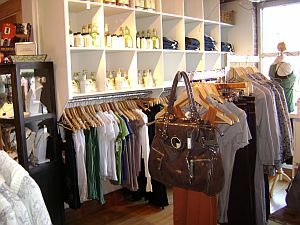 Housed in an old pie factory, the revamped space presents a delightfully unique shopping experience. Contemporary women’s fashions are complemented by Hobo brand bags and wallets, Rampage Animal Friendly bags and a few style-setting shoes. Archipelago candles, soaps from Provence and distinctive glass items make choosing the perfect gift a delightful experience. 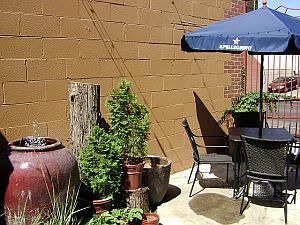 In warm weather the side alley garden offers a place to relax and peruse through the assortment of garden items that can make your own garden an inviting oasis. 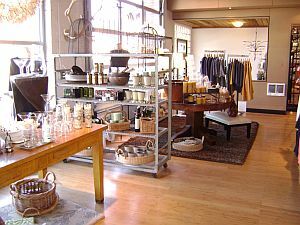 Fall in love with Lolo…Spokane’s own mini Anthropologie!